Would you be willing to donate your own blood plasma for money? Below I am going to walk you through the answers of how much do you get for donating plasma, where is the best place to donate depending on where you live and what are some of the hacks to making the most money for your time. The best part–you can actually make up to $400 extra cash each month by donating your own plasma! This is the reason why donating plasma has become one of the fastest and most lucrative side hustles. If you are someone who doesn’t mind getting poked with needles, this may be one of the most passive side hustles we have found. Now, that’s a pretty good payday if you ask me, and if you help somebody with a medical need in the process, then it’s a true win-win! So, if you’re willing to set aside two hours of your time at least once a month, you have a really unique opportunity to make a quick, honest buck! Need a Little More Cash? In addition to donating plasma, you can earn even more when you share your opinion with Survey Junkie. Survey Junkie has a TrustPilot Rating of 8.8 out of 10 and over 3 million members earning cash daily! How Do I Donate Plasma? Keep in mind the standards can vary from state-to-state, with some of the most common added restrictions of being tattoo or piercing free, older than the standard 18-years-old, or waiting up to weeks between donation visits. If you meet these basic requirements, the next step is to get in the car and drive to your local donation center. What are the Benefits of Donating Plasma? You’ll find out more about these benefits–especially how you can make money donating plasma–as you read through this article. Another benefit of donating plasma besides making money and saving lives is that you can also donate blood too. Yes, you’ll have to wait eight weeks after donating whole blood before you can donate plasma again, but it’s something to keep in mind if you don’t have to rely on the regular payments from plasma donations. How Much Do You Get Paid for Donating Plasma? Is this a first test or subsequent test? Although you must weigh at least 110 pounds to donate plasma, you might not be able to donate as much as somebody that weighs 180 pounds because FDA guidelines allow heavier people to donate more plasma; talk about an unfair advantage! Donation centers pay each donor based on the size of the donation. So, you might only make $20 or $30 per donation instead of $50 if you weigh less and cannot physically donate as much plasma. You’ll also get paid more for your first donation because it takes approximately two hours for your first donation because of the onboarding process. Subsequent donations only require up to 90 minutes of your time–one hour in most instances–so you get paid less per donation, but it’s still easy money. And, some centers pay more if you have a special, high-demand protein or you are a frequent monthly donor and qualify for your center’s monthly promotions! How Do Plasma Centers Pay You? The most common payment method for plasma centers is a prepaid debit card. Some donation centers offer rewards points that can be redeemed for cash or merchandise rewards. Each donation center contracts with a different prepaid debit card provider, so you’ll need to read the payment terms and conditions to make sure your cash balance doesn’t expire. Most cards are reloadable so regular donations mean your balance will never expire, but your balance can expire if you go at least 30 days between donations or you don’t log into your rewards account in at least 180 days. Which Plasma Donation Centers Pay The Most? There are more than 400 plasma donation centers all across the United States and most of them are operated by the ten companies listed below. The most common payment method is a prepaid debit card. Most of these donation centers pay a bonus of up to $50 per donation for your first five visits. If you have at least two centers in your city, take the time to call and find out how much they pay for your first visits and subsequent visits to see which center pays more long-term. Visit a private donation center to make the most cash. Red Cross donation centers accept plasma donations in addition to blood, but they don’t offer cash payments for your donation. And, the Red Cross only let you donate once every 28 days which is another bummer if you want to make a regular weekly income by donating plasma. The following is a list of plasma donation centers in alphabetical order, not necessarily the highest-paying. However, most centers offer similar payments and you can expect to make up to $50, on average, for your first donation. Maryland and New Jersey residents might live near a B Positive donation center. All payments are deposited on a B Positive Visa gift card. According to the B Positive website, all donors earn $50 for their first five donations made within the first 30 days. What makes B Positive exciting is that they pay progressively more for each monthly donation. You might only earn $25 for your first donation each month and $45 for your eighth donation. There’s a good chance there’s a Biolife center near you as they serve 28 states. Payments are made on the Biolife prepaid debit card. The payment per test varies from center to center, but you usually get a bonus your second weekly test. Since your plasma is useless without the second donation within six months, Biolife gives you some added incentive to come back later in the week. Biotest Plasma collects plasma donations in 12 states. All payments are made to a reloadable prepaid MasterCard debit card. Each time you donate, Biotest loads your payment onto the card. You can also get a refer-a-friend bonus by getting your friends and family to donate plasma too. They also have monthly sweepstakes that let you win additional cash and prizes too. BPL Plasma pays up to $50 for your first five visits. How much you make after the initial donations, depends on your weight and your center’s payment policy. Seasonal promotions are offered to earn bonus payment too. The most qualifying donors will earn up to $300 per month after monthly promotions and active fees are accounted for. The maximum donation age for BPL Plasma is 65 years old and free from excessive tattoos and piercings in the past 12 months. With donation centers in 35 states, CSL Plasma is also likely to have a center near you too. And, they also pay good money for your plasma and you can make up to $400 per month. Like the other donation centers, you’ll earn iGive points that can be redeemed for cash on a prepaid debit card. Plus, you can participate in the monthly promotions to earn extra points. Unlike some of the other donation centers, your iGive points can also be redeemed for merchandise rewards if you don’t need the cash at the moment. 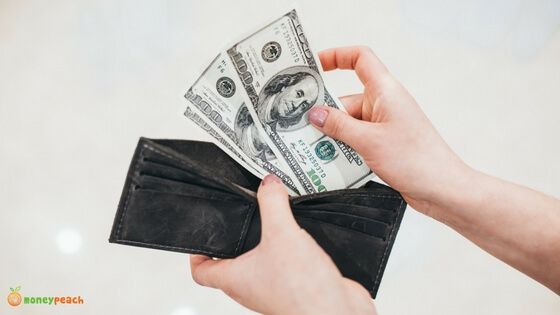 You might only make up to $200 per month which puts Grifols at the lower end of the pay scale, but according to a Grifols employee, you actually will get paid within 30 minutes via a prepaid card if you simply make it to back to room to get stuck! To earn double the income, compare the payment schedule if there’s another plasma center in your town or within driving distance as most centers accept donors that live within a 50-mile radius. On a positive note, you can make extra money by referring friends. While it should be a non-issue unless you’re a procrastinator, Grifols requires at least 48 hours between donations. Other donation centers only require a break of at least 24 hours. The Interstate Companies have 22 plasma donation centers located in 13 states. Most of their plasma donation centers carry the Plasma Biological Services or Bio-Blood name. When looking for a donation center on the Interstate Companies website, pay attention to what donations are accepted at your nearest center as they either accept plasma only or whole blood only. Maximum payment varies by location, but you can expect to earn up to $50 for your first five donations, then $250 per month. Like Grifols, you must wait at least 48 hours between donations. GCAM Plasma operates donation centers in four states and you can earn up to $30 per donation after waiting 24-48 hours between donations. If you earn $30 per test, you can expect to earn approximately $240 a month by donating twice a week. Attention plasma donors in Buffalo, NY…KEDPlasma really wants your plasma if you have Rh-negative blood and live within 90 miles of Somerset Laboratories. If you meet these basic requirements, you can make a little extra cash by participating in the Anti-D program. If not, KEDPlasma still accepts plasma donations from several states in the eastern United States. You can expect to earn up to $400 per month and receive a bonus for your first five donations. All payments are made to a Wirecard prepaid debit card. Octapharma has plasma donation centers located across the country and Germany if you know anybody there that wants to become a plasma donor too. In addition to getting paid to refer a friend to donate with Octapharma, you earn rewards points that can be redeemed for tiered rewards including express passes, gift cards, and sweepstakes entries, or a prepaid MasterCard debit card. Payment details vary by location, but you can expect to make up to $50 for your first five donations. After that, expect to make around $300 per month or approximately $40 per subsequent donation. As a frequent donor, you can qualify for monthly bonuses too. The ten donation centers listed above are the largest companies with a multi-state presence. There are also independent donation centers–like ADMA BioCenters in metro Atlanta– across the country that pay you for plasma donations too. If you’re lucky, you’ll have more than one option and you can call both centers to compare payouts. When I performed the web search, I found two different centers in my city that pay for plasma donations. Taking a few seconds to explore all your options can be well worth the effort as you can make double the amount at a donation center across town. If you don’t live near a plasma donation center that pays, you can still demonstrate your giving spirit by donating to your local American Red Cross. You won’t get paid, but donating plasma is still a great way to “pay it forward” to help out a neighbor. You’ll only be able to donate plasma once every 28 days or 13 times a year, but you can still donate whole blood and blood platelets during the waiting periods. Most people just can’t walk into a plasma center and make your donation because you might faint from lack of food or dehydration. Instead of being told to come back tomorrow, follow these tips to make sure you arrive prepared and you’re allowed to donate. In most states, you must be at least 18 years old to donate plasma; the lone exception is Alabama where you need to be at least 19 years old. Getting into the habit of eating healthy might seem like a chore at first, but look at it another way; you’re getting paid to be healthy when you donate plasma. If you don’t think it’s possible to eat healthy without breaking the bank, listen to Episode 84 of the Money Peach Podcast as Erin Chase tells you how to make every meal a $5 meal. After listening to Erin’s money-saving secrets, your plasma donations can cover most of your food bill! Also, you will definitely want to shop with Ibotta to get a $10 cash bonus and save every time you buy groceries. Before each donation, you need to pass a basic medical exam that consists of questions about your general health, checking your blood pressure, and pricking your finger to check your iron and hemoglobin levels. Maintaining a balanced diet also helps ensure your iron levels and blood pressure are adequate. You will need to ask the center which illnesses and prescription medications disqualify you from becoming a donor. If you have HIV, hepatitis, eczema on your arm in the donation site, diabetes controlled with medication, the donation center won’t let you donate. You also won’t be able to donate if you have been pregnant within the last six months. If you are currently on prescription medication it may not be an automatic deal breaker, but you probably can’t donate if you take medication for acne, cold sores, infections, or vaccines and immunizations. Never try donating plasma if you don’t feel 100% from allergies, the flu, or the common cold. You also won’t be able to donate if you currently have a sprain or stitches. Bring what documentation you normally bring when you need to renew your driver’s license or apply for a passport. After the initial donation, you may only have to bring your regular photo id to verify your identity. With each donation, you don’t get pricked with a needle not once but twice. For your plasma to be used by another, you need to make your second donation within six months so you’ll technically get pricked four times. If you’ve donated blood before or don’t mind having blood drawn for testing, donating plasma is a very similar experience. Many donors say the needle feels like a mild bee sting; it’s not as fun as relaxing at the beach but it’s for a worthy cause. One of your fingertips will be pricked first to test your iron and hemoglobin levels. If they’re up to par, you’ll proceed to the donation area where you will get pricked the second time by a phlebotomist in your arm to begin donating blood. If you feel discomfort while donating plasma, immediately speak with the phlebotomist who might only need a minor adjustment to the needle or plasmapheresis machine. Because the plasma center is only collecting your blood plasma, the donation machine is actively separating your plasma from your blood and returns your blood with saline additive back into your body. This return process can give you a cold feeling, and it’s recommended you bring a jacket or light blanket to wear if you feel cold. Your first ever plasma donation visit usually takes twice as long as your subsequent visits. One reason is all the paperwork you have to fill out before you can begin the actual donation. Until you find your groove while donating, it can also take a couple visits to acclimate to having a needle in your arm for an hour too. Expect your first visit to take between 90 minutes and two hours, however the actual donation time will only consume an hour of that time. For your future visits, you can expect the entire donation to last around an hour because you only have to complete a basic medical questionnaire to ensure nothing has changed since your last visit that only takes a couple minutes to complete. Since it only takes an hour in most instances to donate plasma, this is a quick and easy side hustle you can partake in between classes, after work, or on your days off. Can you set aside two hours of your week to potentially make $100? I can! Plasma centers pay you a fixed rate based on how much you donate. It doesn’t matter if it takes you an hour or two hours, you’re only going to make $50. So do you want to make $50 or $25 an hour? If you want to make $50 an hour, you need to follow these hacks below on donation day. Like other side hustles that pay a flat rate, how much time it takes to donate plasma is just as important as how much you make per donation. Centers pay you more when you go for your initial visits because of the extra time required, but you need to learn how to work smarter instead of harder to maximize your earnings for subsequent plasma donations. Not drinking enough water before you donate slows down your donation speed because your blood is “thicker” and it’s harder for the machine to collect your plasma. In fact, dehydration is one of the most common reasons for slow donations because blood plasma is 90% water. Just remember that you only have a finite amount of time for each donation session and after a predetermined amount of time the phlebotomist will begin unhooking the collection equipment whether you’ve donated the daily limit or not. If you’re hydrated, you can donate your full amount within the donation window but being dehydrated might only let you donate three-quarters of your donation limit and you get paid less as a result. Remaining hydrated can be a double-edged sword. Drinking too much water can cause your blood iron levels to become too diluted and you’ll be disqualified when they check your iron and hemoglobin levels. Regularly squeezing your hand or a stress ball boosts circulation. The quicker your blood circulates, the sooner you donate enough plasma. Find what works best for you so you remain comfortable while donating so you don’t try to “force” the donation and actually end up donating less. What happens if your blood doesn’t circulate quickly enough? The machine sounds an alarm and the phlebotomist must make some quick adjustments to clear the blockage. If they can’t, you’re not able to donate plasma for the next six months! While this scenario is the exception to the rule, don’t forget to squeeze your fists periodically during a donation to keep yourself out of the unemployment line. Eating a greasy cheeseburger and fries before you donate can slow your plasma flow too much. This is because these two foods are high in saturated fat that clogs your veins and produce “cloudy” plasma that can clog the plasmapheresis machine. If your plasma flow is too slow, your donation session will end prematurely and you’ll be paid a reduced rate. Instead, seek foods with unsaturated fat which can actually speed up your plasma flow and help you donate in a shorter period of time; 45 minutes instead of 60 minutes for example. Try to buy fresh ingredients including raw fruits and vegetables instead of pre-made items you get from the grocery store or restaurant. They’re healthier overall and cheaper. What Happens During a Plasma Donation? If you’ve donated blood before, the entire plasma donation process is very similar. From start to finish, you should expect to be at the center for 60-90 minutes depending on how long it takes you to complete the paperwork and donate your plasma. The most skilled donors only need 45 minutes to make the actual donation after checking their iron and hemoglobin levels. When donating plasma, you’re sitting in one place for about an hour. The donation center is paying you for your time, but is it possible to “double dip” and make more money? Most centers play movies and let you watch tv, so it can be an opportune time to rest, but many centers now offer free public wifi that you can use to stream your own content, read great books, study for an exam or promotion. Another option to increase your hourly rate is taking paid online surveys. Since the average online survey takes 15 minutes, you can complete four surveys during a single donation. How Often Can You Donate Plasma? You can donate plasma twice a week, but you must wait 24 to 48 hours between donations. This rest interval gives your body time to replace your plasma count. Drinking plenty of water ensures your plasma levels quickly return to their normal levels and you’ll maintain a high energy level too because coffee, tea, and soft drinks dehydrate you further. Donating plasma isn’t as intense as donating blood because the plasmapheresis machine puts saline back into your body, but your body still has to replace the plasma you donate. In between donations, remember to avoid junk food and sugary drinks too. And, you still need to avoid alcoholic and caffeinated beverages for at least 72 hours before your second donation as well. While you shouldn’t go hog wild after your second weekly donation, you can relax your eating habits a little more afterwards. Like you should drink plenty of water to avoid the negative effects of dehydration, eating healthy food provides multiple benefits besides faster donation times. When Can I Donate Plasma? Most donation centers are open every day of the week from 7am to 7pm during the weekdays and through mid-afternoon on weekends. You can pick the day and time that works best with your schedule whether it’s before work, after class, or during your lunch break. Some centers also provide free childcare so you can donate plasma if you bring your children along too. Your donation center might have designated time slots for first-time donors because of the additional time required to complete the additional paperwork. Afterwards, you can pick the donation time that works best for you because you only need to set aside an hour to donate the plasma since your name’s in the computer system. There are many similarities between blood and plasma donations, but one of the largest differences is that you don’t get paid until your second plasma donation is collected. That means you must donate plasma twice before the donation center hands you a prepaid debit card loaded with cash. In most cases, you have six months to make your second sample. Donation centers don’t do this to be mean, but they need two separate plasma donations before your plasma is usable. Holding payment until the second donation prevents ill-intentioned hustlers from donating once and running away with the cash while the center is stuck with a useless donation. Think of your first donation as a “security deposit” and the second donation as your monthly rent payment; you make rent each month and your landlord is kind enough to let you stay for another month. If you earn $50 per donation, the donation center will pay you a $100 lump sum payment; $50 for the first donation and $50 for the second donation. Remember in order to receive the new donor bonuses–$50 per donation compared to the usual $40 donation payment–you usually have to complete each donation within the first two months. Because I’m sure you like making money and helping people in the process, you’ll have no problem making your second donation ASAP! What Can I Do If I Am Rejected as a Plasma Donor? Maybe you want to donate plasma but can’t at the moment because of a current medical condition, you’re pregnant, or you recently got a tattoo or piercing. Whether you’re waiting a few months to become an eligible donor or donating plasma just isn’t your cup of tea, there’s no need to worry. Maybe the center gave you a temporary deferral because you don’t feel well, are still recovering from a recent medical procedure, or your iron counts were too low. Whatever the reason, follow the center’s advice on how long you should wait and if there’s anything you can do to help speed up the waiting process. If your iron count is low, you can start consuming more iron-rich foods to boost your count. It might take a couple days, but don’t give up hope if you have a temporary deferral. Your opportunity to donate will arrive sooner than you think. Maybe you’ll never be able to donate plasma because of a certain medical condition that can harm your body or the plasma recipient. If you believe the donation assigned a permanent deferral in error, you can try to overturn the deferral by getting a second medical opinion and following the center’s appeal process. It’s worth a shot if you’re serious about donating plasma. Maybe you’ve decided plasma donation isn’t for you or you need to pursue an additional side hustle on the days you aren’t donating plasma. Thankfully, there are many different options that won’t affect your donor status. Donating plasma might sound appealing because of the flexible donation times. 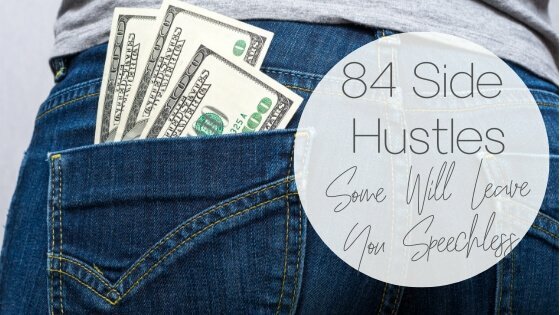 All you have to do is set aside two hours a week that are most convenient for you; those are the best side hustle options because you name your own hours. You can easily do these side hustles in addition to donating plasma. Several of these online-based hustles can be pursued while you’re donating. If you’re a rideshare driver, you can donate plasma between gigs which means you don’t have to make a special trip to the donation center because you’re passing by it anyways. Alright, Now You Ready to Donate Plasma and Make Money! I think we all understand donating plasma won’t make us rich, but it’s a great, flexible way to supplement our regular income. And, we get the opportunity to pass on the gift of life in the process. In fact, if you really break it down–donating plasma is one of the few ways you can legally “sell” your body for medical purposes and get paid! If you’re ready to make some money by donating plasma, don’t wait. Your local plasma center is waiting to schedule your first donation! hey i work for grifols and we actually pay you as long as you make it back to the bed to be stuck. typically your money is on the prepaid card within 30 minutes of donation. BioLife also pays you as long as you make it to the table to be pricked with needle. Good to know! Thanks for adding that information! Chicken, fish, and eggs are good sources of protein, and are more quickly absorbed by the body. Beef takes longer to digest, but is a better source of iron. Concerning hydration, water is best. Not only is a hydrated donor able to donate faster, he or she also recovers more quickly and easily after donating plasma. It takes days to significantly increase body protein levels, but the body can go from mildly hydrated to well-hydrated in about 45 minutes after drinking just 600mL of water (that’s 2 standard-size bottles of water). Just be sure to use the bathroom before you are hooked up to the plasmapheresis machine! After your plasma donation is completed, give yourself time to have some more water and a protein snack. Relax for a bit, if at all possible, or at least schedule your donation time so that you aren’t trying to do a lot of running around or strenuous physical work after your donation. It’s amazing how the body can recover after donating plasma, but you must give it time and energy to go through its recovery process. Good for you for becoming a plasma donor, and enjoy your extra income! Thanks for adding tips about eating right, hydration, and staying healthy in general. These are very important for all of us, but particularly important for those donating plasma so that can continue to save lives. Do keep in mind the personal info they carry. Biolife retains SS#, fingerprint, photo, dl#, address, medical info on you. As well it is accessible to everyone that uses the computer… That included your SS# in plain text!! Also the computers are out in they open and unmonitored. Seems an easy target for an identify thief in my opinion. It seems like Red Cross blood drives don’t gather nearly that much information, nor do they leave info out in the open. If the other places do, then you are right: they need to beef up their security to prevent becoming targets.